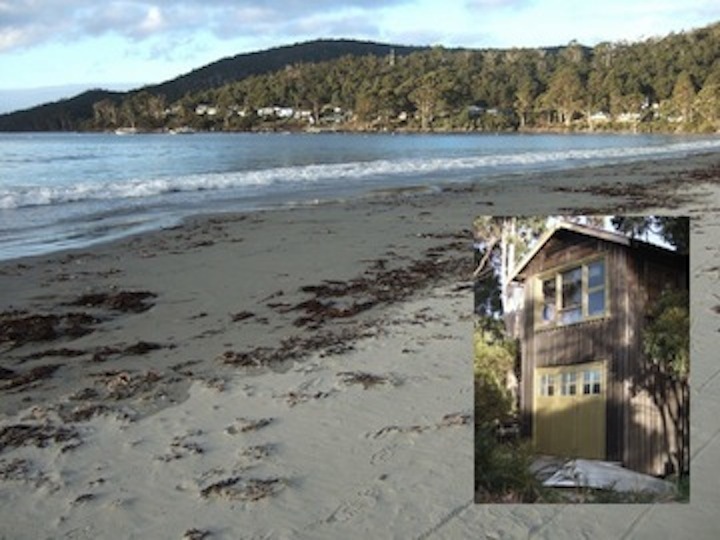 Bruny Island has long been the home to the traditional shack owner. 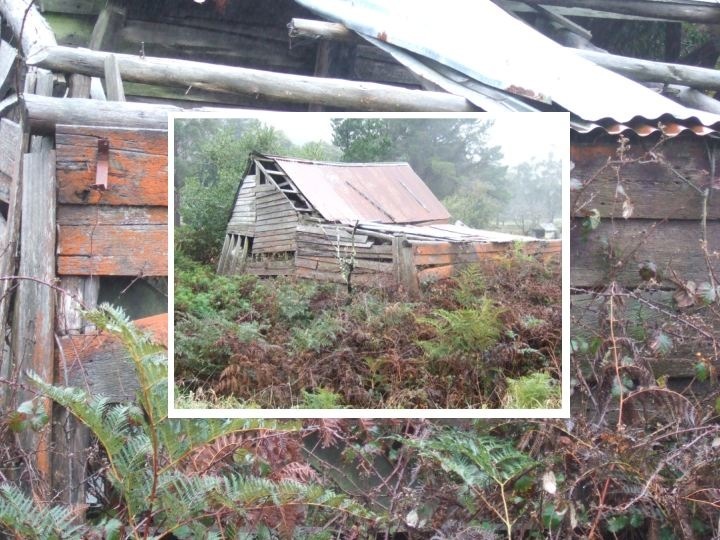 Tumbledown buildings with million dollar water views are the iconic Tasmanian holiday home, or shack. 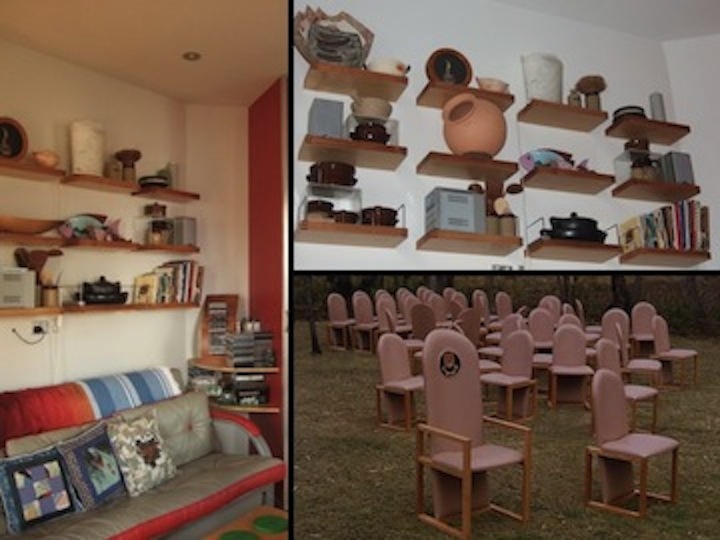 Often built from recycled materials scavenged from dump sites and furnished with the tacky and the daggy – those pre-loved rejects from home – they embody the state’s ‘shack culture’. 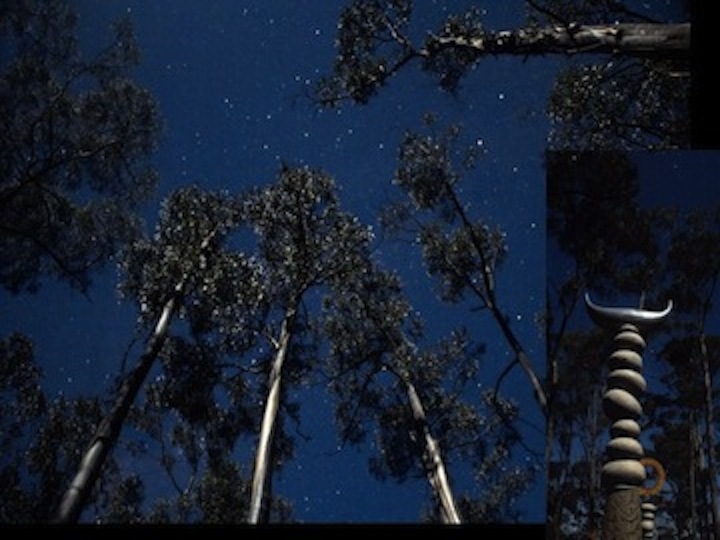 International author and ardent ‘shackie’, Richard Flanagan does much of his writing from his own shack on Bruny Island. He regards the shack as the embodiment of the complex riches gleaned from the extended family experience and one that embraces the steadfastness of friends. The shack, he feels, expresses long-held, sometimes profound understandings of, our close relationship to our environment and the fruits of its bounty.There is much evidence of the ramshackle and the rejected scattered around the island. 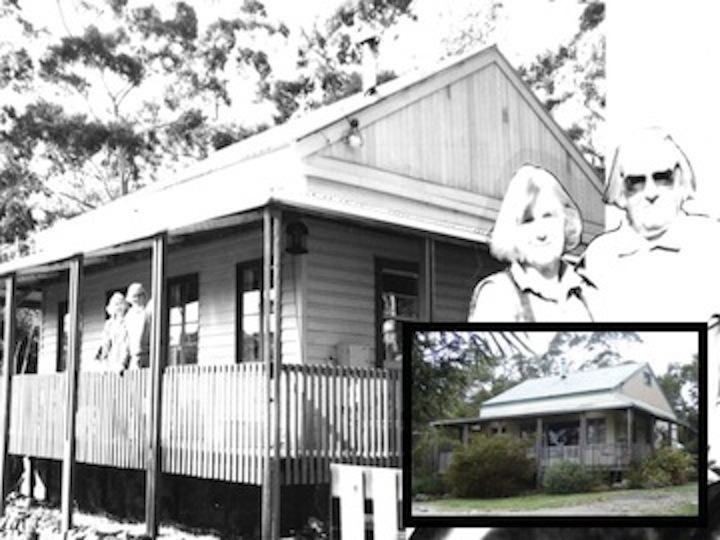 But in true ‘shackie’ style, this is Mum’s place – little changed since she and my step- father Jim lived in it over 20 years ago. Family working bees recycled this original fruit picker’s hut, sourced from the Derwent valley, into a home. The verandah was a family Christmas present one year – one of many Christmas’s past spent fishing, foraging and fossicking in the nearby cove in Jim’s tinnie.Whilst traditional shacks embody a sense of sustainability through recyclables and an empathy with the environment, our shack is more often regarded as an ‘Archishack’ – architecture (in design and construction) rather than archetypal – a collection of disparate second-hand parts. 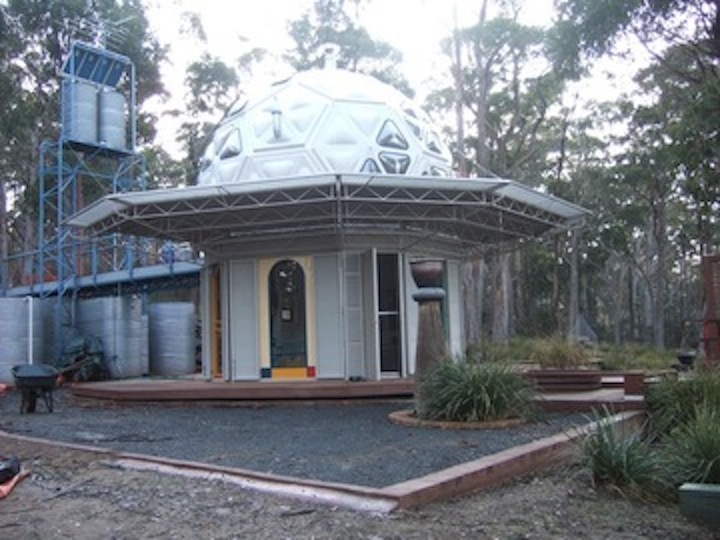 However, it is the latter description that actually better fits how ‘The Geo-Dome Observatory’ came together. Night shots by jetsetvagabond. 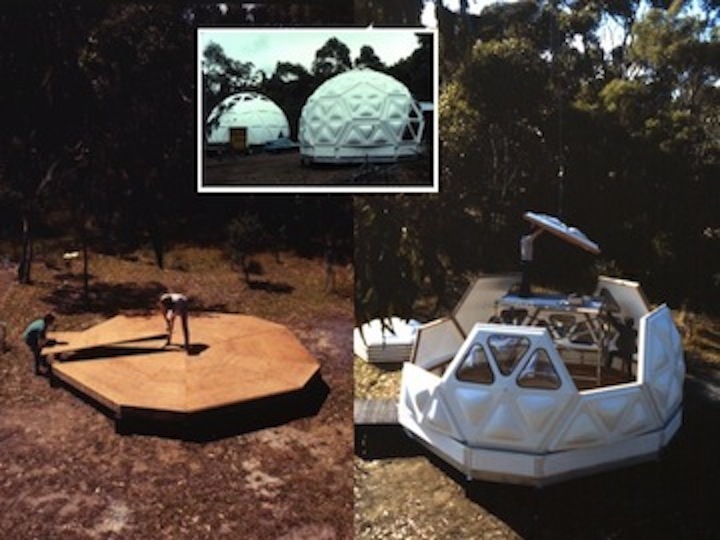 Initially the ‘Geo-Dome Observatory started life as a prototype for a prefabricated kit building system in 1985-6. 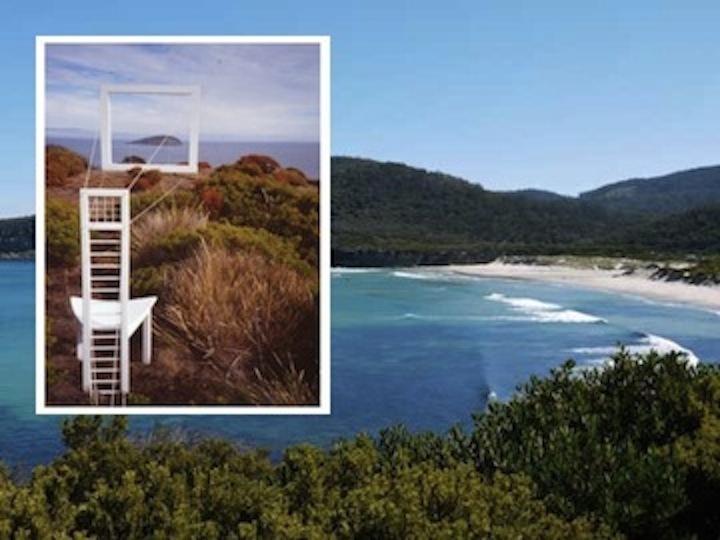 Intended to ‘tread lightly’ in the environment, the structure was designed for 2 people to assemble with a light crane. Intended for minimum site impact without the excessive use of heavy building machinery. During its life, it has been an artist’s studio, temporary accommodation for visiting family and friends as well as an outpost for teenage thrash band rehearsals. The windows were originally table tops. 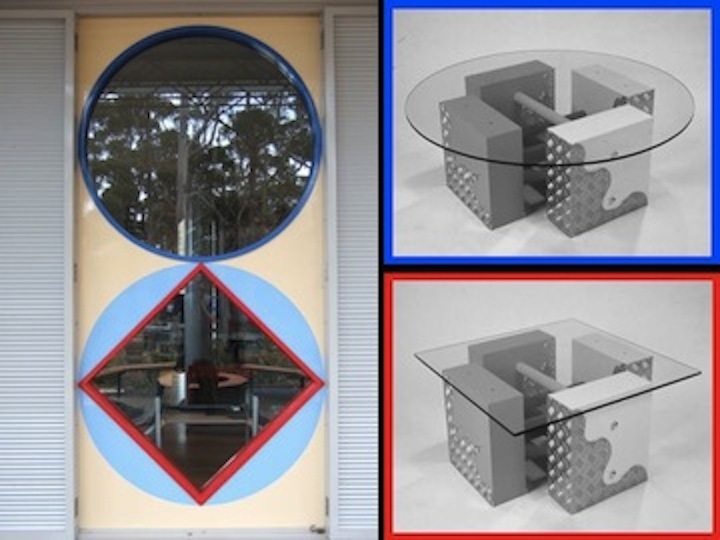 During the mid 1980’s John had developed his ‘Post Tech’ range of coffee tables for international export, only to discover that the glass tops, half inch plate glass, where way too heavy and expensive to freight. So just the tables were exported, in this case to the US and new glass installed on their arrival. 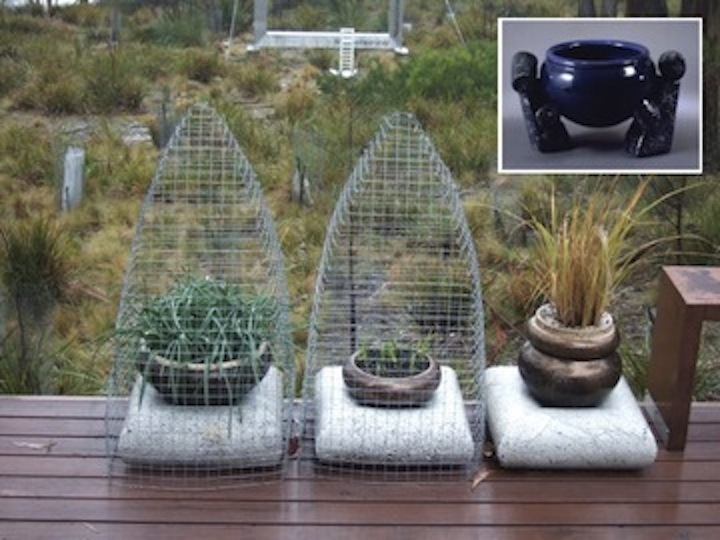 The in-built shelves that house many of my clay cooking pots were initially designed as structural chair frames. John was commissioned by the University of Tasmania to design and build a series of chairs for the Council meeting room, in addition to one specifically for the Chancellor. 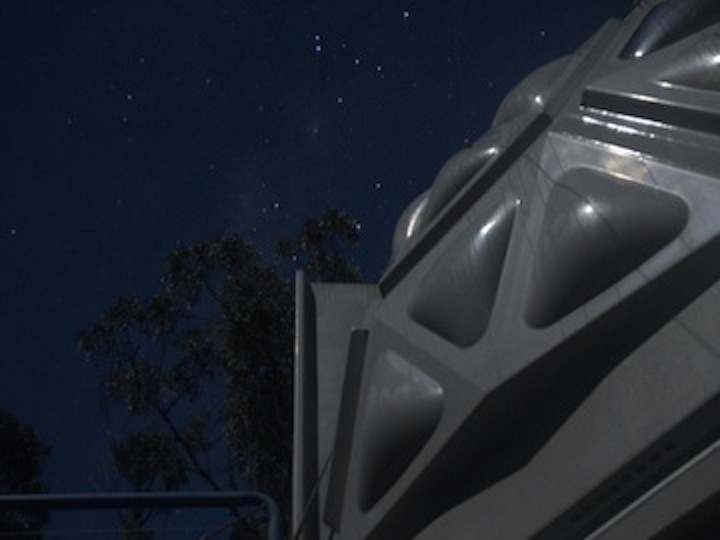 The recycling tradition extends into the landscape where artworks that have outlived their exhibition circuit usefulness end their days in contemplative retirement. 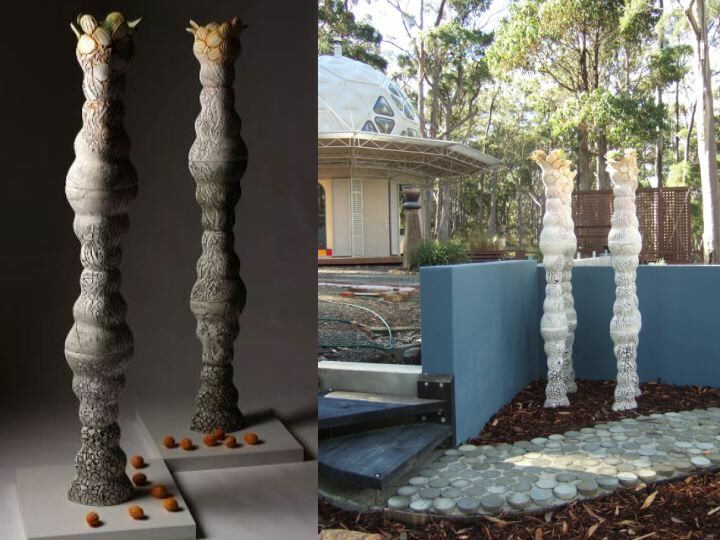 Originally, the ‘Keepers’ were created for the first ‘Sculpture by the Sea’ outdoor exhibition situated on artist Peter Adams’s magnificent coastal property, Windgrove at Roaring Beach. Night shots by jetsetvagabond. 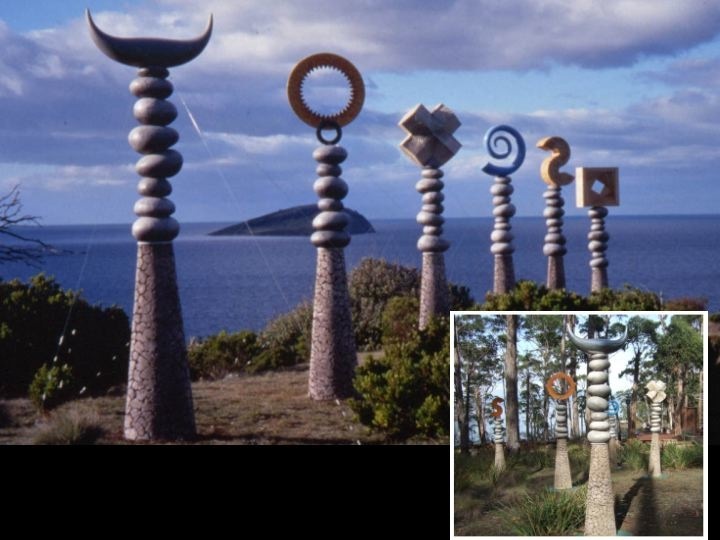 The work for the second ‘Sculpture by the Sea’, entitled ‘Viewfinder’, was also situated at Roaring Beach. 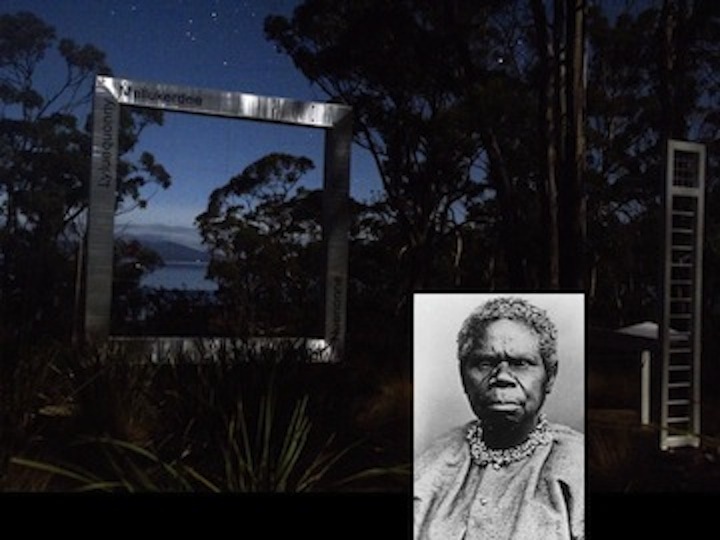 Now re-installed at our place on Bruny, the piece is dedicated to the original owners of this place, in particular, the Neunone people, the most well known of whom was Truganini. ‘Islands as refuge: islands as prisons. Islands as paradise: islands as hell’* can best describe a little of what the white colonization meant to the indigenous people. *Introduction from ‘Message in a Bottle: The Literature of Small Islands’ edited by Brinklow and Ledwell as part of the proceedings from the international Small Islands conference held at Charlottetown, Prince Edward Island, Canada, 1998. Regular walks along the water’s edge always nets a plethora of flotsam and jetsam – careless cast-offs from cruising yachties and unthinking fisherman. 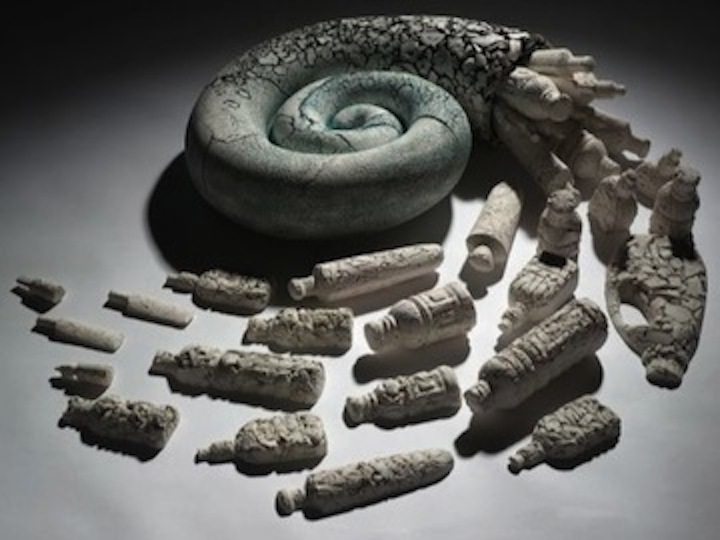 ‘Great Pacific Gyre Patch’ was a piece originally made for my solo show in 2007 at the Carnegie Gallery, Hobart and was then shown in the exhibition ‘White Heat’ as part of the 2009 Australian Ceramics Triennale in Sydney. It is currently in the collection of the Manly Art Gallery. 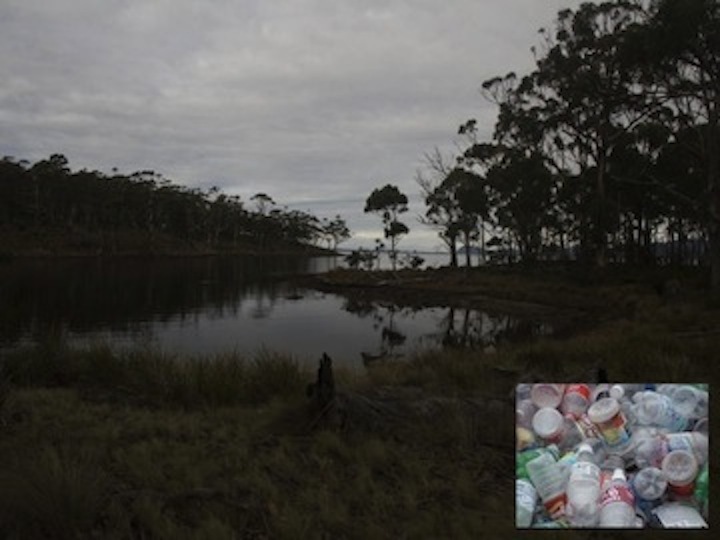 In this case the recycling tradition continued from the shore (in the form of plastic bottles) to the gallery as a protest piece. The collected rubbish was used to make plaster moulds, into which porcelain clay was pressed to produce the fired replicas. 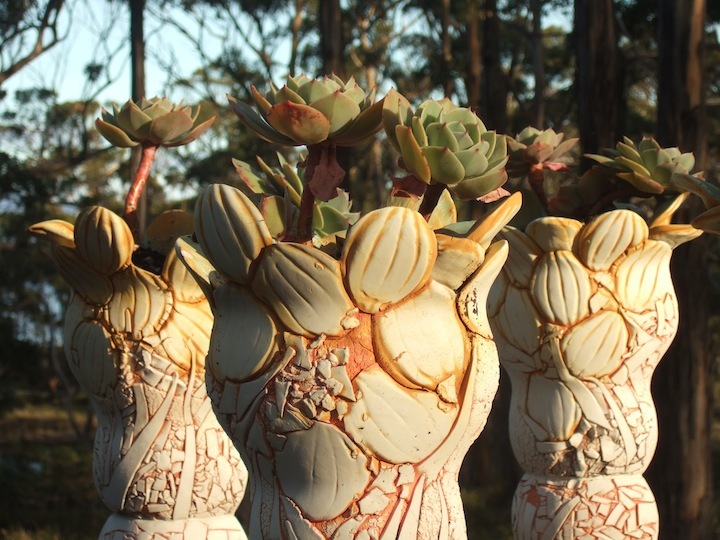 From the same show, ‘Hop Scotch’ (a series of press moulded stoneware forms) was also produced that told the story of the early days of grog-running in colonial Tasmania, and later, beer making. 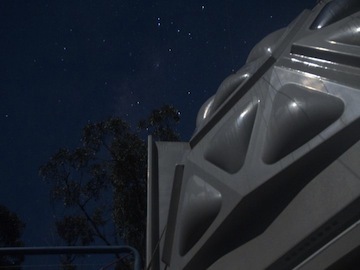 Now these pieces have been press ganged as permanent sentinels for the ‘boat-shed’ currently under construction. 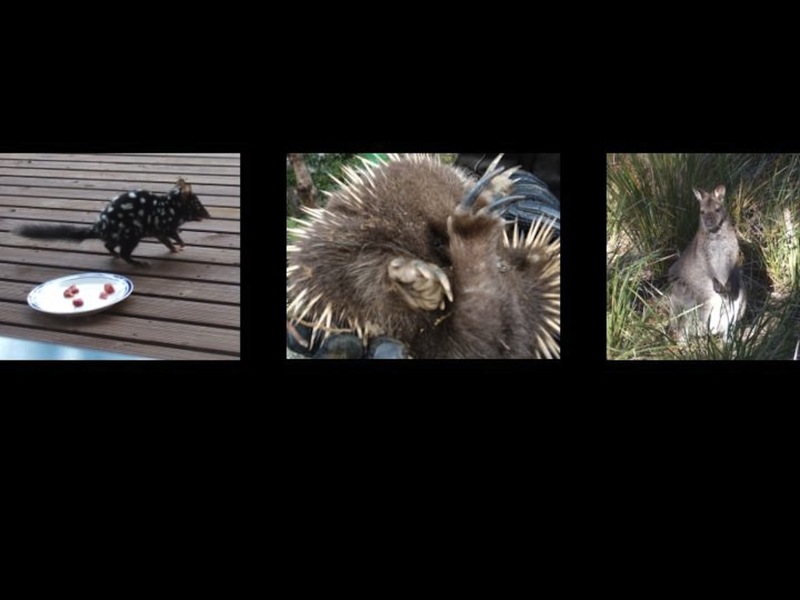 Much as we love the native animals, the Quolls, Echidnas and the Wallaby’s – some of them can be a real pain in the proverbial as they eat anything and everything that we plant – to the base, and then pull up the roots for good measure. Resorting to desperate measures to keep the critters off the greenery. 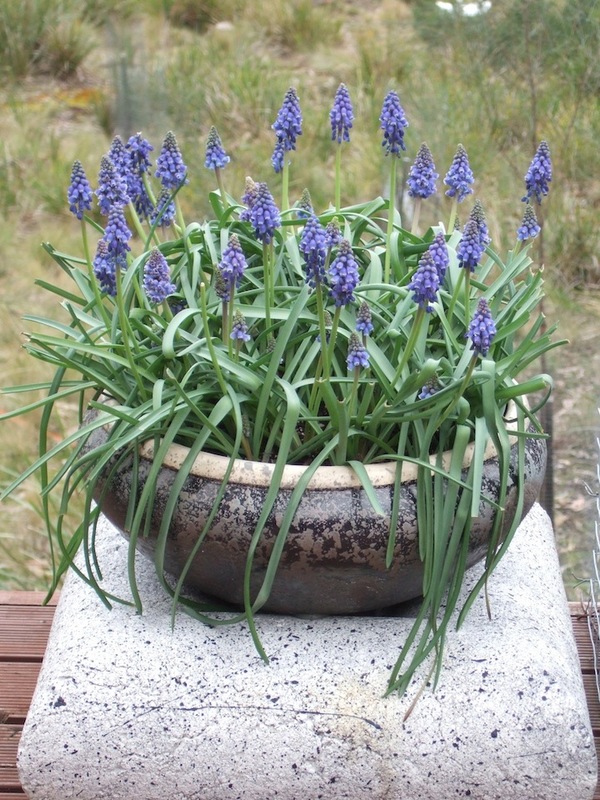 Spring bulbs featured in ex-demonstration thrown pots (by American visiting artist, Jerry Rothman from many years ago) and left overs from my own ‘Topographical Fictions’ exhibition.